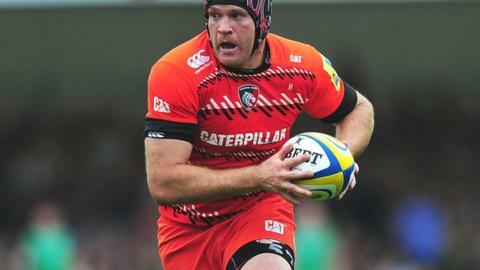 Julian Salvi is leaving Leicester at the end of the season, director of rugby Richard Cockerill has confirmed. But Cockerill told BBC Radio Leicester: "The saga around that is what it is. Julian is moving on - that's life." Salvi, who has been linked with a move to France and Exeter Chiefs, joined Leicester in 2011. Tigers have one more league game in the regular Premiership season, but if they beat fierce rivals Northampton on Saturday they will be involved in the play-offs.